There was much excitement today seeing which jumpers everyone had worn! 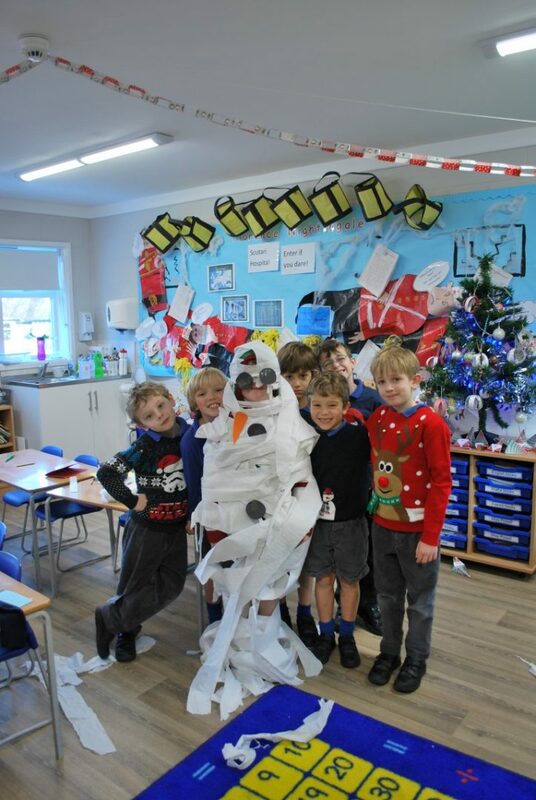 Year 2 added to the fun by dressing up their friends as snowmen using only toilet roll! We also said a very fond farewell to Mrs Pain in Assembly today. She has done a sterling job covering maternity leave in Rising Reception. The children and everyone will miss her very much and we wish her well in her new job.